Hey everyone! I seriously owe you all an update with my new house. Come back Tuesday morning for the skinny on the happenings in our new home our first 3 months here. Every summer while the kids are home from school I really try to take a small step away from the computer to focus on my children and spending time with them while they are still young enough to like me. Ha! I invite other bloggers to guest post here throughout the summer. I hope you have enjoyed these great posts so far. Once school starts up again I will be back in full force. Thanks for understanding why I haven’t been posting as much lately. Today I have Therena from Little Bit of Paint here to share her bathroom transformation. 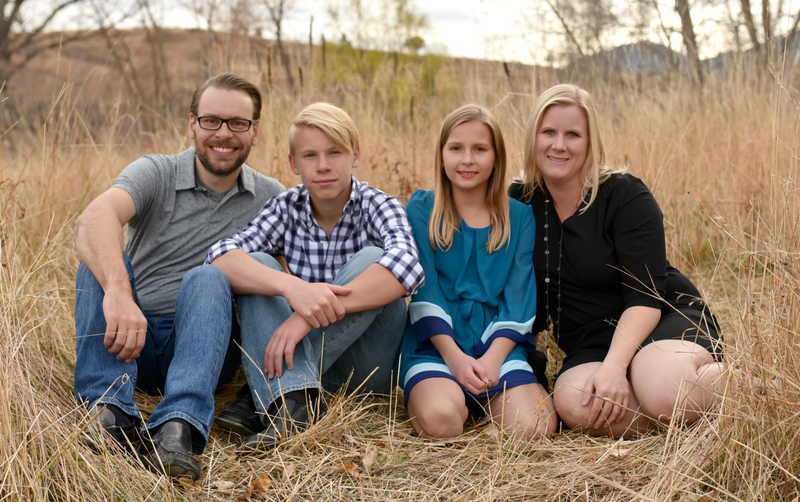 I am super excited about this post because not only is the bathroom amazing, this is also the very first time Therena has ever guest posted anywhere! Please help show her extra love today. Hi there, I’m Therena from Little Bit of Paint. I love everything to do with decorating, refinishing furniture, organizing, and thrifting! I am new to blogging and just thrilled that Allison has let me be a guest today! Isn’t she amazing?! 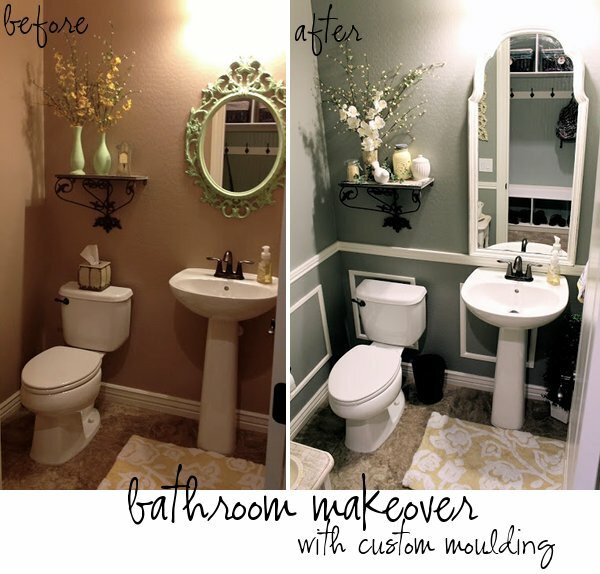 Today I’m going to show you how I remodeled my powder bathroom on a tight budget! In the short year we’ve been in our house, this poor bathroom has undergone change after change! It was just blah, and it bothered me because this is a room that most guests that come over see! So I took what little budget I had and went to work! I painted the walls using Valspar’s Wet Cement. I had used this color for an accent wall in my son’s room, and luckily I had enough. So no cost for the paint! Then I added chair rail, and my version of faux wainscoating. This is what ate up most of my budget, but it was well worth it! The total cost for this (includes wood, adhesive, caulk, and nails) was about $85. I replaced the mirror with this one that I found at a thrift store for $12. I painted it the same color that I used for the chair railing. For the decor, I shopped at home! That’s right, I went around my house and tried to think of ways to rearrange certain things to get what I needed for this bathroom! The only thing I bought new was the little pitcher/bowl that I got at a thrift store for $4! So that brings the total cost of my little bathroom remodel to $101! Beautiful, right?! She’s definitely got some mad DIY and decorating skills. Thanks Therena for visiting with us today. What a change! Now your guests can linger in there because it is so beautiful! Love your bathroom makeover! I’m checking out your blog right now! What a fabulous job! There a does awesome stuff! Brilliant!! What a excellent job! It looks really classy now and I LOVE the fact that you shopped around the house and at thrift stores!! Well done!! Hi Therena, Loved your post. The pics are amazing. Thank you for the post and bathroom renovation ideas.